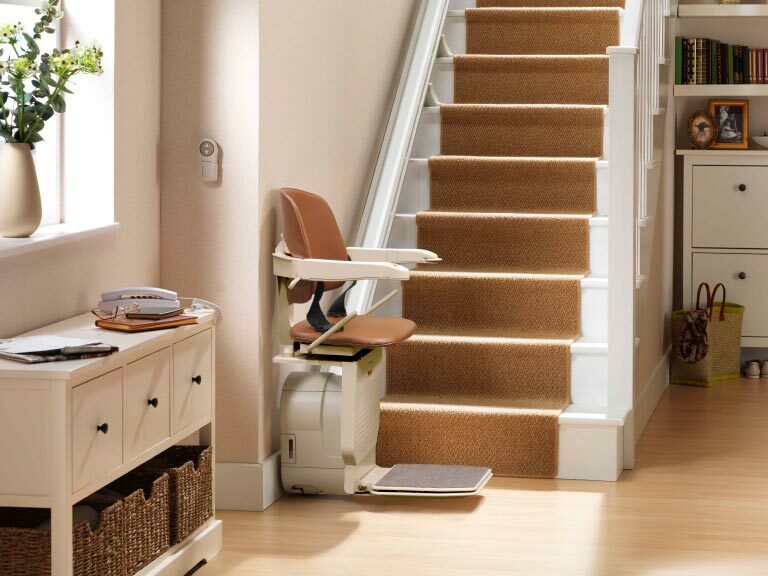 A stairlift is one of the best ways to prevent falls. Popular among ageing clients, it helps them stay independent at home for a few precious years. 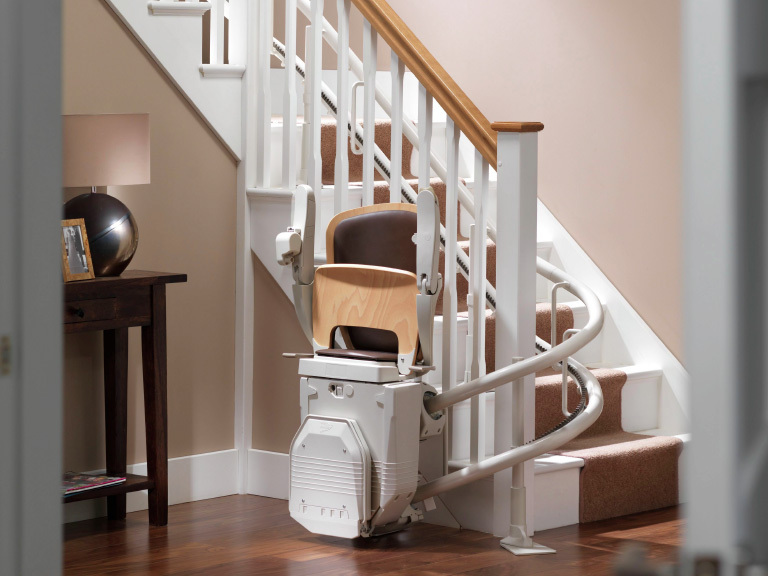 Installed in half a day, economical and elegant, a stairlift is a simple solution for going up and down stairs. Available in a commercial model, a stairlift is just as perfectly suited for a business, community hall or any other public building. 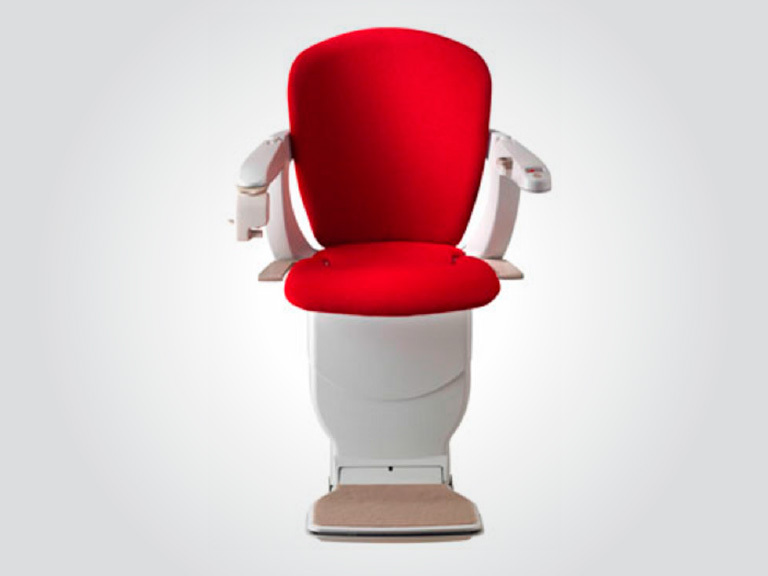 All our electric stairlift models have a 30‑month parts and labour warranty, and the entire motor assembly has a lifetime warranty. A special, custom-made model for curved stairs. Our more luxurious model, with a variety of options. Our most popular model, excellent value for money. 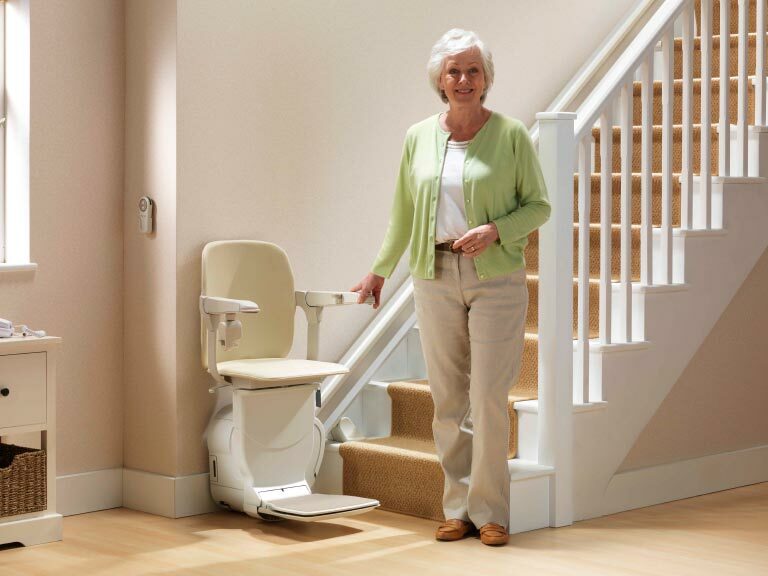 An economical entry-level model, which is our basic stairlift. The Siena, Starla and curved (260) models are all offered in a commercial version, meaning that they comply with standard CSA B‑355 – Lifts for persons with physical disabilities. This means that we can issue a certificate of conformity from the Régie du Bâtiment du Québec and that your installation will have a strict maintenance schedule. This way, you can rest assured that you are in compliance and that your installation is safe in all respects. Price: Straight commercial chairs starting at $5,500, installation and taxes included. Delivery time: For in-stock straight commercial chairs, allow 1 to 2 weeks for installation. For curved chairs, allow 4 to 8 weeks. Installation time: Just like for residential applications, 5 hours for a straight staircase and about 8 hours for a curved staircase.